Schoutteten & Froidure was established in France in 1788 and is the authority on the subject of weaving straps, ribbons, and elastics. We help our clients expand by offering them solutions adapted to their needs. 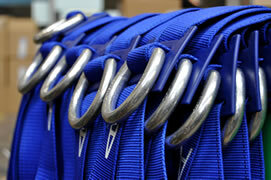 With 200 years of know-how, we can solve all your strap and elastic problems. A team brings you custom solutions to meet your needs. Following your design briefs and your specifications, we will develop products that you need for your safety harness, your military uniform, and many others… With a project manager who will accompany from the production to the delivery of the product, all you have to do is place your orders. 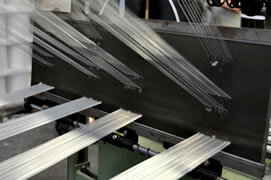 Based in the north of France since 1788, Schoutteten & Froidure is the authority when it comes to weaving straps, ribbons, and elastics. Our production capacity and the diversity of our tools lets us meet each of your needs.